Everyone is encouraged to post pictures and videos of contestants. The 8th edition of Miss World Philippines will be held at the SM Mall Of Asia Arena on October 7, 2018. Other titles at stake are Reina Hispanoamericana Filipinas, Miss Eco Philippines and Miss Multinational Philippines! 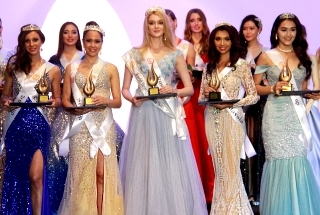 Reigning Miss World Philippines 2017, Laura Lehmann, Reina Hispanoamericana 2017, Teresita Marquez, Miss Eco International 2018, Cynthia Thomalla, and Miss Multinational 2017, Sophia Seronon will crown their successors at the end of the event. 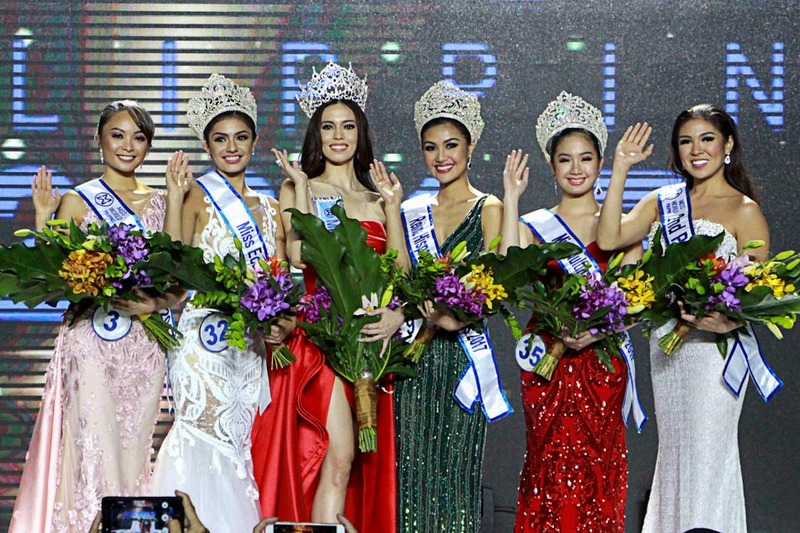 It is a beauty pageant in the Philippines that selects the country's representative to the Miss World contest, one of the Big Four international beauty pageants. The pageant also selects three other representatives to participate in minor international pageants such as Reina Hispanoamericana, Miss Eco International, and Miss Multinational. 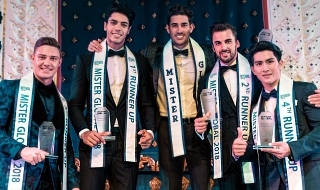 In addition the organizer of the pageant also held its male counterpart Mister World Philippines to pick representatives to participate in Mister World, Mister Supranational, and Mister Eco International. The winner and her court work with charities that benefit children in need and also join movements of supporting women and children's rights and other advocacy. Last edited by lesham on Sun Oct 07, 2018 4:42 pm, edited 26 times in total. Last edited by lesham on Fri Sep 14, 2018 8:10 am, edited 7 times in total. Last edited by lesham on Fri Sep 14, 2018 10:12 am, edited 3 times in total. Last edited by lesham on Fri Sep 14, 2018 10:53 am, edited 9 times in total. Last edited by lesham on Fri Sep 14, 2018 10:58 am, edited 4 times in total. KAWAWA TONG SI ATENG VADAF VIAGRAGRIA. I HOPE HE WILL WAKE UP SOON REALIZING THAT GURANG JULIA IS MILKING HIS MONEY THAT HE DOES NOT HAVE A LOT.... MAMUMULUBI SYA IN THE LONG RUN. ITO NAMANG COPY CAT DESIGNER WANNA BE BESSIE BITSIN CLAVIO BAKA MAGPAPALIMOS SA QUIAPO IN THE LONG RUN..
Aces and Queens' orientation for Miss World Philippines 2018. 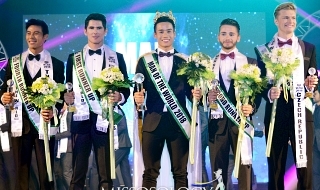 To be honest, mas excited ako for MR. WORLD! I hope mala-BENCH GO-SEE ang quality ng candidates natin. Our previous handpicked contestants were decent and alta-ish. Let's keep it that way. Hindi yung parang hinila lang kung saan. Last edited by Nikolska on Thu Aug 02, 2018 12:49 pm, edited 1 time in total. Nikolska wrote: To be honest, mas excited ako for MR. WORLD! I hope mala-BENCH GO-SEE ang quality ng candidates natin. Our previous handpicked contestants were descent and alta-ish. Let's keep it that way. Hindi yung parang hinila lang kung saan. True. Dahil kapuso itong MrW baka pwede isali sila GIl Cuerva? O kaya David Licauco? Tutal the latter is into joining pageants naman. Plus mga kapuso sila so pasok sa banga. May Mystery Box Challenge, Pressure Test at Elimination test ba, ala MasterChef? Marunong ba sila magluto ng Randang, Nasi Goreng, Pancit, Chao Fan, Lauriat, Fish and Chips at Lumpia? Dapat lahat ng sasali required na marunong magluto or dapat Chef, kasi Cooking Show ang sasalihan nila after Miss World Philippines. BEAUTIES SAME CALIBER AS LAURA LEHMAN..
bakit walang lumabas na video ng Miss World Philippines 2017???? Last edited by quelab22 on Fri Aug 10, 2018 9:47 am, edited 1 time in total. SCREENING WILL BE ON MONDAY! STAY TUNED, MY CHILDREN. This is the only year Katarina Rodriguez is eligible to compete in Miss World Philippines / Miss World. It's now or never for her. missofan705 wrote: This is the only year Katarina Rodriguez is eligible to compete in Miss World Philippines / Miss World. It's now or never for her. I hope she joins. If she doesn't, Kim De Guzman should join and win this pageant. The Beach Beauty FT will be held in Palawan! Schedule of the final screening! OMG!! so Katarina is really joining! !